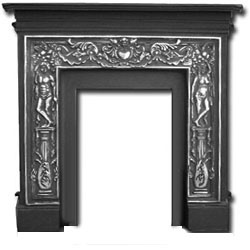 Cast Iron Combinations are very tiny mantels; essentially they are a cast iron fireplace surround with an attached mantel shelf. 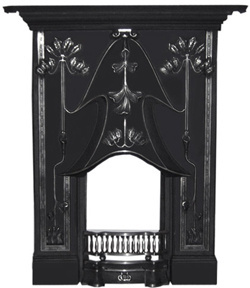 Cast iron combination mantels are made to fit little coal fireplaces. 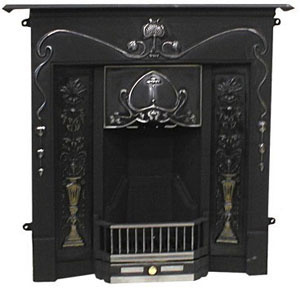 Use one to update your fireplace or to create an electric or faux fireplace. Cast iron combinations are very hard to come by in the US. Our stock is limited so if you see one you like, grab it quick! 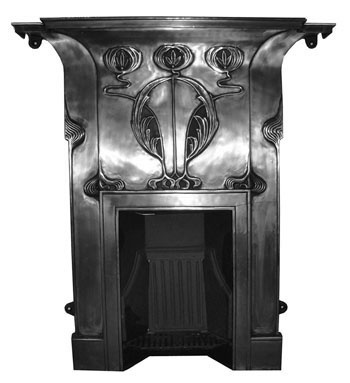 Just like the antique originals, there are 4 "bosses" on the outer edge of the combination mantel. 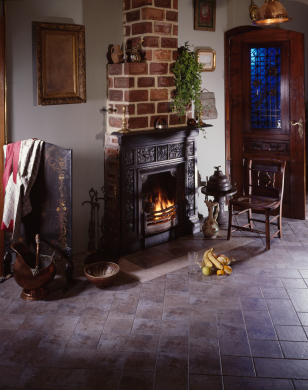 Using hardware appropriate for the type of wall you're attaching to, installation is very simple.